The formalized organizational structure focuses on roles and positions rather than the people in the positions. Formalization is the process of creating a formalized structure and includes the maintenance of that formal structure over time. Formalization of an organizational structure is commonly initiated in an attempt to rationalize the decision-making process. The formalized organization is critical for the organization in which issues are known and changes are implemented slowly and purposefully. Unlike the informal organizational structure, which values the individual above the job position and allows for the evolution of roles as prescribed by the holder of the position, the formal organizational structure consists of set roles that are not easily changed. Informal organizational structures are in some ways more innovative than formalized structures. However, the informal structure is most useful for quickly changing industries, such as the technology sector. Additionally, the size of the organization may indicate the degree of formalization required. It is essential to understand the needs of the individual organization when determining which structure is most effective for each situation. Formalization may be identified by the degree to which organizational roles are separated from the individuals who perform those roles. The formalized organizational structure consists of a hierarchical, top-down reporting and decision-making structure. It is recognized by the existence of explicit, codified standards and regulations. 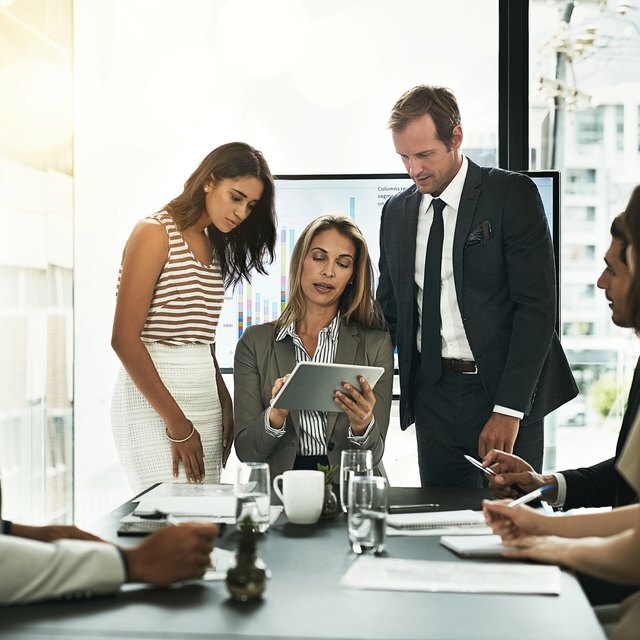 A formalized structure typically includes multiple layers of supervision, including top-level directors or department heads, middle managers and operational supervisors. One benefit of the formalization of an organizational structure is the routine nature of succession. The roles of a specific position will remain the same, no matter who inhabits the specific job position. Work procedures are documented so that a new employee may be easily inserted into a vacant position without changing the processes associated with the position. The enduring structure of a formalized organization does not change unless it is purposely altered by management. The structure is easily understood and explained. Additionally, alignment of day-to-day work processes with the overall mission of the organization is easily achieved in a formalized organizational structure. The structure of a formalized organization, as well as the roles and relationships between those roles, is typically made visible through the use of an organization chart. The chart diagrams the individual roles within the organization, including who reports to whom. It also illustrates how information and decisions flow within the organization. The organizational chart is a valuable tool in the formalization process. The Business Plan: Formal Organizational Structure - What Is It?